Since the boom in holidays abroad in the 60’s, people love to jet off to far away destinations. The world has become a smaller place thanks to being able to jump on a plane and get off, thousands of miles away in just a few hours. So, what are the top European Holiday Destinations for 2018? 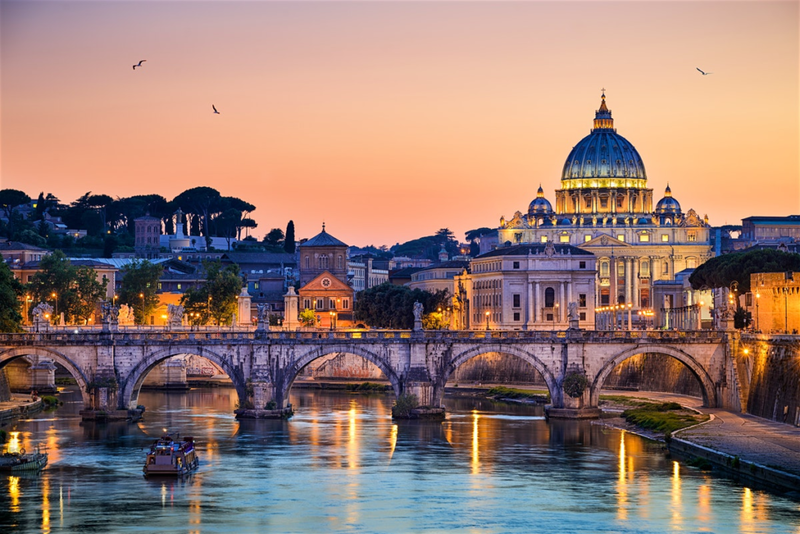 In the city of Rome, there are classical ruins and early Christian places of worship, renaissance palazzos, and Baroque fountains. There are also outstanding trattarias, quirky shops, and a humming aperitivo scene. Rome has a moderate Mediterranean climate which aids in drawing visitors from around Europe. For many visitors’s the main draw will always be the pulsating energy of a place that lives its life as a form of theatre. There is no real off-season in Rome. Spring and autumn see visitor numbers high with a peak at Easter as the annual Pilgrimage to the Vatican comes to town. Rome can be enjoyed in the winter months especially from mid-January and into the first week of March. This can be a great time to explore Rome if especially if the weather is good. The benefits of this time of year are of course cheaper hotels and flights plus the restaurants are blissfully quiet. If you love the high temperatures of August then it may be the right time to visit Rome. Lots of the locals head off to the beach in August, hence the cost of hotel accommodation is a lot cheaper in the City. Weather-wise the most perfect time to visit Rome are the months of April, May, and October as the weather during these months is very pleasant. Porto is a beautiful city built on the River Douro. It’s many visitors have found Porto to be mystical and unique in a way that they cannot often describe. The ambiance of the city changes according to the sunlight and the time of day giving it a mesmerizing feel. The popularity of the City is a testament to its residents as they are very generous and easy going, welcoming visitors with open arms. The River Douro is a very important part of the city as it dissects it and offers heritage on both banks with bridges and monuments, the tiles, the flowering balconies and the shopping streets. The historic center of Porto and the River Douro on the Gaia side, where you can find the Port Lodges has also been given the status of being classified as a World Heritage Site. The impressive Cathedral should not be missed while the medieval streets of Ribeira offer many cafe terraces and shops where you can sit and listen to the locals and watch the world go by. Take a boat ride along the River Douro and sail under Porto’s six bridges and admire the spectacular views. However, you must try the fresh seafood and sample a tour at one of the many Port Wine tasting lodges. San Sebastian is the principal city in the province of Gipuzkoa in the Basque Country of Spain. The City has plenty on offer and provides access to some of Spain’s most beautiful countryside and sandy beaches. Playa de la Concha is San Sebastian’s most popular beach and the largest and so, it is often enjoyed by the summertime beach revellers. The shell-shaped beach creates a breath-taking bay surrounded by fertile green mountains. There are water sport activities such as jet skiing, kayaking, canoeing, parasailing, and sailing. The beach is as spectacular at night as it is in the day with the illuminated promenade enticing you take a pleasurable stroll after dinner. San Sebastian has become renowned for its Basque gastronomy and boasts some of the best restaurants in the world. The most notable restaurant is the Michelin Star awarded Arzac with Chef Mari Arzac delivering superb Basque cuisine. 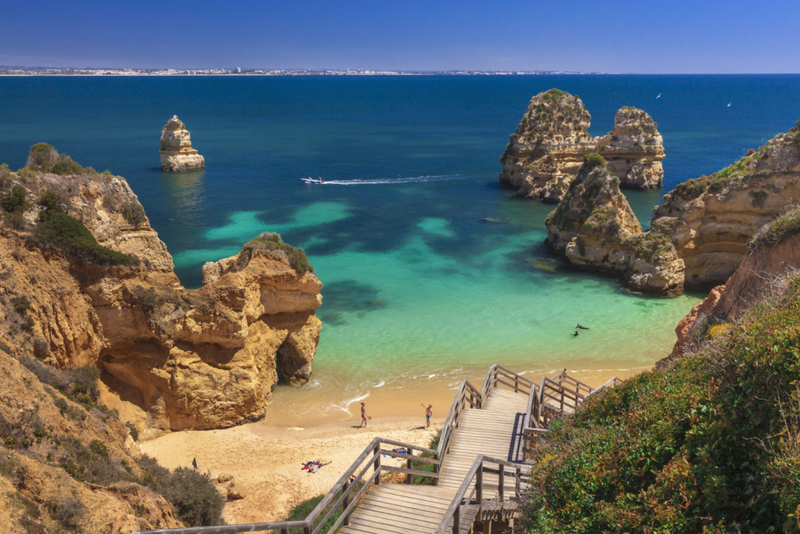 The Algarve boasts some of the best beaches in the world with sandy beaches stretching as far as the eye can see. Deserted islands mark the boundary between the Ria Formosa and the open sea and there are small inlets and coves sheltered by weathered rocks. It is seen to be the perfect holiday destination for those who love the sea, beaches, water sports and taking it easy. The north offers stunning mountains where locals still live according to their traditions and are at one with nature. Hiring a car will enable you to hit the road and take on the winding roads to Monchique where you will find spectacular views of the Algarve and a coffee shop to sample excellent coffee and Portuguese snacks. If golf is your thing then the Algarve is the place for you. There is in excess of fifty championship courses while the all-year-round warm climate makes it the ideal place to play. However, if great food is your thing there is an abundance of fresh fish and chicken piri-piri. Lanzarote promises all year round sunshine which makes it an extremely popular holiday destination. During the summer months the weather is hot and during the winter months, the weather remains comfortably warm. However, like most countries, the advice given is to find out what the weather is like in Lanzarote before booking so you can plan accordingly. The landscape on the island is very unique with a third of the island covered in lava following a volcanic eruption in the 1730’s. There are currently approximately over 300 dormant volcanoes on the island and due to the seismic activity and this has created a raw landscape that is spectacular and impressive. The main attraction on the island is The Timanfaya National Park where you can view at close quarters the Fire Mountains. There are many attractions packed onto the small Island thanks to architect Cesar Manrique which are mainly cultural. Alternatively, you can explore the many whitewashed villages scattered around the island that provide you with an insight into the traditions of this Spanish Island. If that’s not for you then lazing about the beach and its bars soaking in the sunshine will tick every box. 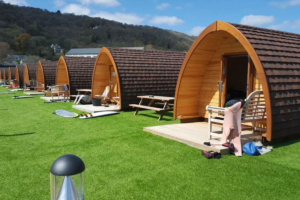 Glamping in the UK is a fairly new phenomenon but it has grown in popularity. Glamping mixes camping with the comfort and elegance of staying in a posh hotel. Glamper’s will have the best of both worlds, they will be at one with nature whilst still being surrounded by all the mod-cons and luxuries of a modern hotel. The accommodation can take various forms such as pods, yurts, domes, tipis, and wigwams. In Snowdonia, they have yurts and octagonal cabins next to the Mawddach estuary. Each is furnished with wood burners and traditional welsh blankets. There are numerous activities locally such as cycling, eating, sightseeing swimming and fishing to name a few with Snowdon providing the backdrop. The views are absolutely stunning and make this a great place to stay.